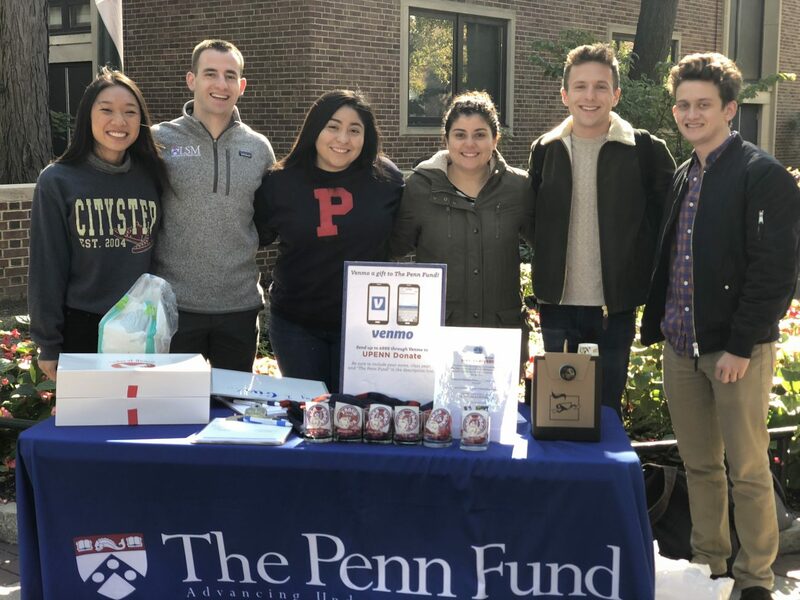 On October 30, members of the Penn community came together in full force to participate in The Penn Fund’s fourth Giving Red & Blue Day campaign. By the end of the campaign, 2605 proud Penn donors surpassed the goal of 1740 donors, set to honor the University’s founding year. The final tally exceeded $933,000, breaking the record of dollars raised on this Penn-centric giving day by $300,000. Penn Fund staff revved up momentum for the record-setting performance throughout the week, sending a “Beat the Rush” email on October 23 and providing tips for committed alumni and friends to help spread the word. Digital outreach and social media helped spark the generosity of Penn’s committed global community, with creative and impactful emails and posts on Facebook, Twitter, and Instagram. Bruce Konopka, W’78—wearing his Penn socks inside of the shoes he wore during the 1992 Olympics—helped inspire Quakers to give to The Penn Fund for Giving Red and Blue Day. 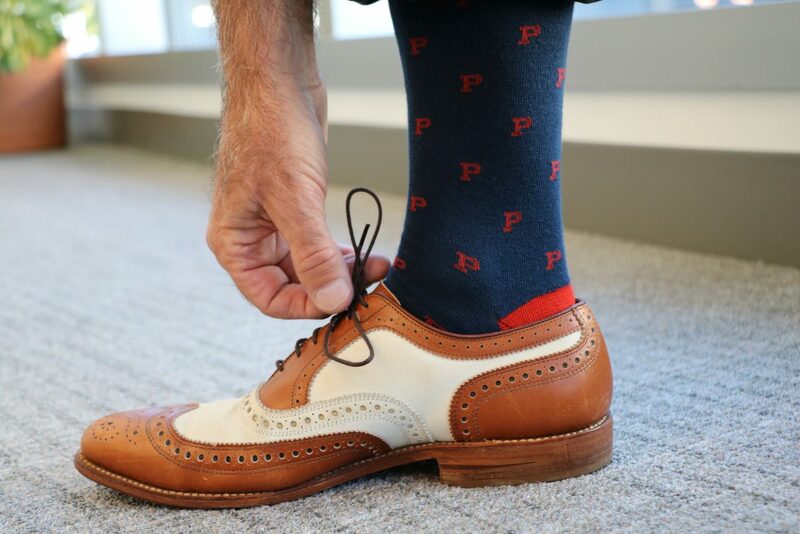 Donors who gave more than $10 received their own pair of “Penntriotic” socks. Seniors for The Penn Fund set up a station on Locust Walk and encouraged fellow students to make a gift for Giving Red & Blue Day. Contributions to The Penn Fund go far in strengthening undergraduate financial aid, student programming, residential and campus life, and enhance the overall Penn experience. The strong performance during Giving Red and Blue Day is yet another example of the power of the Penn community and will be pivotal to helping The Penn Fund reach its fundraising goals for fiscal year 2019. There is still plenty of time to be counted among Penn’s faithful supporters—reserve your place in The Penn Fund Honor Roll with a donation today! Make a gift through The Penn Fund’s online giving portal or call our office to find out how you can support unrestricted giving at Penn.